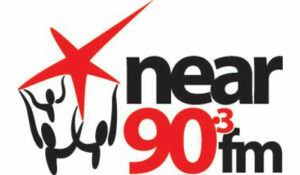 Near FM is part of Near Media Co-op which is a not-for-profit, democratic co-operative operating on the principles of participation and diversity. Near Media Co-op, situated on the north side of Dublin, was founded in 1983; and anyone wishing to support the ideals of democratic ownership of media can become a shareholder which entitles the shareholder to ownership of the two community media platforms (Near FM and Near TV). Near Media Co-op has over 120 volunteers contributing at Near FM and Near TV and has received awards from Amnesty International and the Metro Éireann Media and Multicultural Awards (MAMA), AkiDwA (the national network of migrant women living in Ireland), Glór na nGael and some of its initiatives have become best practice examples at European level (i.e. Failte Radio). Near Media Coop was involved in the production of the first European media training manual from an intercultural perspective called Inter.Media. Near TV operates as a Community TV production facility, TV Programmes are made available on our website, www.near.ie and on DCTV, Dublin Community Television. Near FM is a not-for-profit, democratic, community radio station, broadcasting 24 hours a day, 365 days per year. We operate an open access policy and run a minimum of two community radio introduction courses a year for new volunteers a year and have trained over 250 people living in Dublin North over the last 5 years. Near FM runs workshops on ‘How to get your message across’, ‘Media literacy’ and ‘Media law and regulations’. The station encourages groups to use community media as a tool in their development work and aims to reflect the issues, events and stories important in the local area. Programming involves radio drama, multilingual programmes, assisting unsigned musicians, intercultural programming, educational programming, outside broadcasts, documentaries to name a few. Near FM is proud to have broadcast programmes in several languages: French, Spanish, Basque, Chinese, Polish, German, Russian, Irish, Portuguese, Lingala, Bosnian. In September 2015 Near FM has become a lecturing partner in association with University of Wolverhampton for Coláiste Dhúlaigh, College of Further Education in Dublin to lecture parts of the BA Honours Degree in Broadcasting and Journalism. Near FM was the first radio station in Ireland (community, state and commercial) to podcast programming in 2004. Near FM and Near TV have been part of several EU funded partnerships (ECEA, Communicating Europe, Erasmus +) developing training and programmes. For more information on Near Media Co-op please go to www.near.ie.